Today’s fun food fact: in addition to giving your lunch a delicious and flavorful kick, Sriracha can boost your mood, too. Who knew? The below video from the American Chemical Society walks you through how it works: The five main ingredients of our beloved rooster sauce are red chili peppers, vinegar, garlic, salt, and sugar. Red chilis — obviously the active ingredient here — contain two molecules called capsaicin and dihydrocapsaicin. These molecules trigger a receptive protein in our mouths that usually responds to super hot things — hot as in temperature, that is (in this case, anything above 109 degrees Fahrenheit). That’s where the spicy-hot sensation comes from. The body then responds to the hot sensation by releasing a pain-killing rush of endorphins — hence the “hurts so good” reaction a lot of us have to spicy things. Sriracha can measure anywhere from 1,000 to 2,500 units out of a possible 2,000,000 on the Scoville Heat Scale, which measure's a pepper's spiciness. I’ve never had a Trinidad MoruGa Scorpion pepper, but given that comes in at the top of the chart, I’m not sure I ever want to. 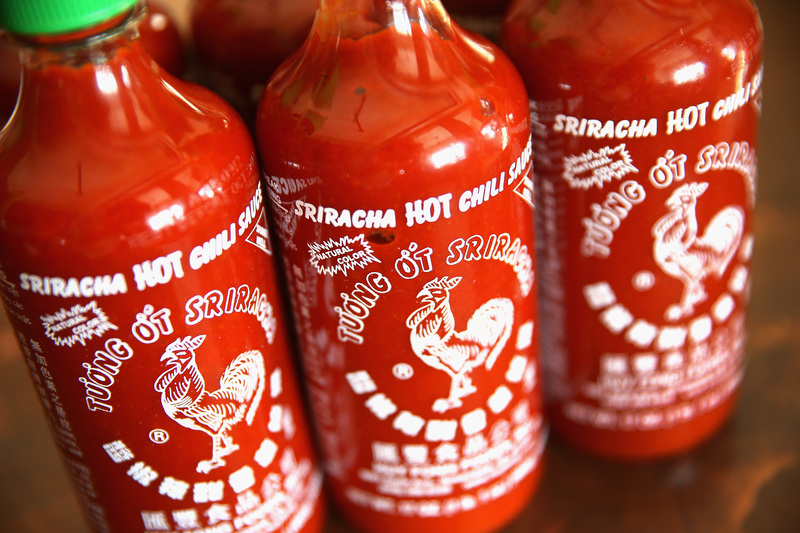 If the point of Sriracha is to both perk up your food and your mood, something as hot as that seems like it might just kind of kill it instead. I love spicy things, but generally I prefer them to taste like something other than burning death. Now if you’ll excuse me, it’s lunchtime, and I have big plans for a certain bright red bottle sitting on my kitchen counter.